Not surprisingly, many users are asking us if ClipMate runs on Vista. Sure it does! 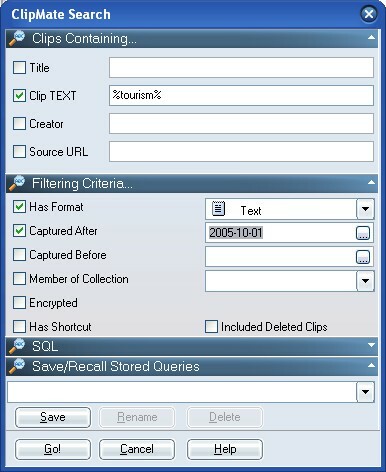 We've been running ClipMate on Vista since the December 2006. Like they say, "you can't build it, unless you live it!" ClipMate 7 runs quite well on Vista, and does take advantage of some of the neat new features, particularly the "bulletproof" ClipBoard notification system in Vista, which prevents lost clipboard events. UPDATE: ClipMate also runs great on Windows7, Windows 8, and 8.1. Installation - FIXED in 7.2 and Later! New to ClipMate? Find out all about it here. Skins - the skins library is causing trouble (crashes). Don't use the skins on Vista. The installer for ClipMate 7.2 won't even let you install the skins. Good news - ClipMate looks great on Vista, without skins. ClipMate Classic on Vista, with Aero Glass (transparent) borders. 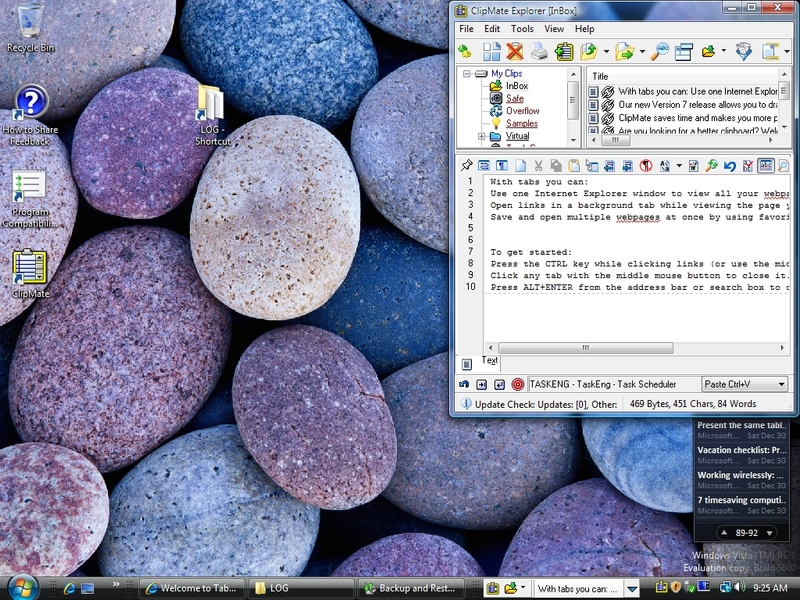 ClipMate Explorer on Vista, with Aero Glass (transparent) borders. 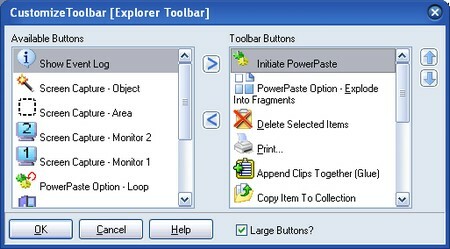 ClipMate Explorer on Vista Desktop, showing transparency. ClipBar also visible. Sounds too loud or too soft? Vista lets you control the volume for individual applications. When ZDNet tested this, apparently they like their ClipMate sounds quieted down a bit. 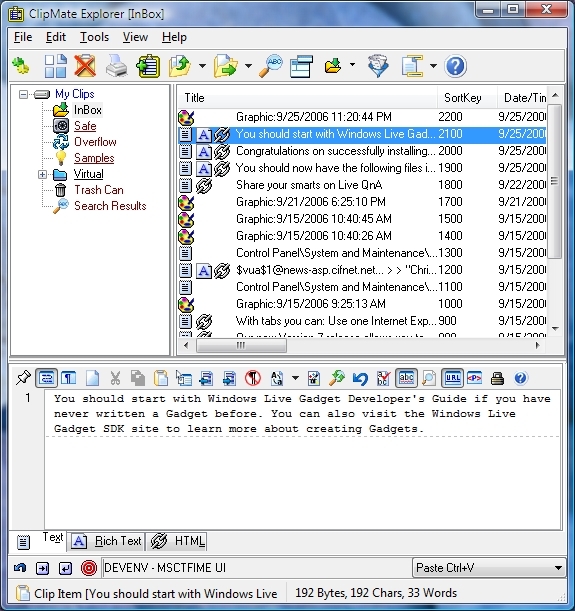 See this screenshot in their slideshow, where ClipMate is clearly visible. TweakUAC - disable the annoying UAC pop-ups. Written by ClipMate user, Andrei Belogortseff.